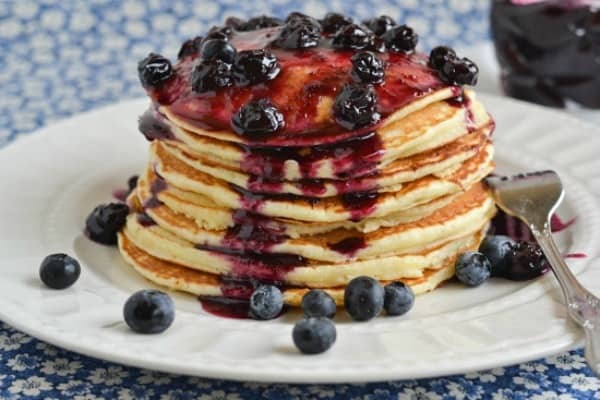 When it comes to serving pancakes, there are so many ways to make unique & delicious creations with homemade syrup recipes. We’ve gathered a tasty collection of recipes including ones with fruit, chocolate, caramel and more. I can guarantee you that there are some combinations here that you haven’t thought of before but you’ll want to try now. This is a collection of delicious ideas from other bloggers and masters in the kitchen. To view the full recipe for any of these ideas, simply click on the title of the recipe and it will open up in a new window for you. 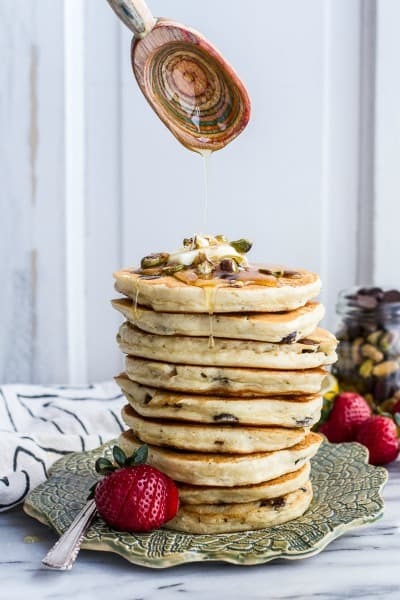 Don’t forget to visit our special Slumber Party category for more creative breakfast ideas including delicious pancake recipes. I absolutely love baklava. Seriously…I can’t get enough of it! I have no idea how to make it but I scoop it up every time I go to a party where it’s being served. These Chocolate Chip Lemon Baklava Pancakes with Salted Vanilla Honey Syrup (pictured above) by Half Baked Harvest are making my tummy growl. 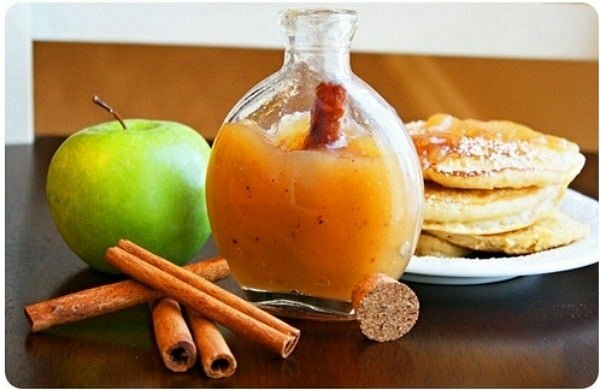 For something completely different, try this Apple Cider Syrup recipe by The Comfort of Cooking. This would also make a great homemade gift for a friend. 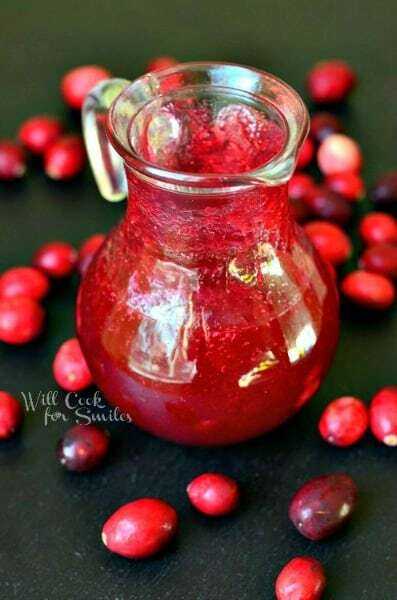 I bet this Cranberry Syrup by Will Cook For Smiles would be great on banana pancakes. I may just have to try it this weekend! I’ve heard so many great things about Pomegranate but I’ve never tried it for myself. 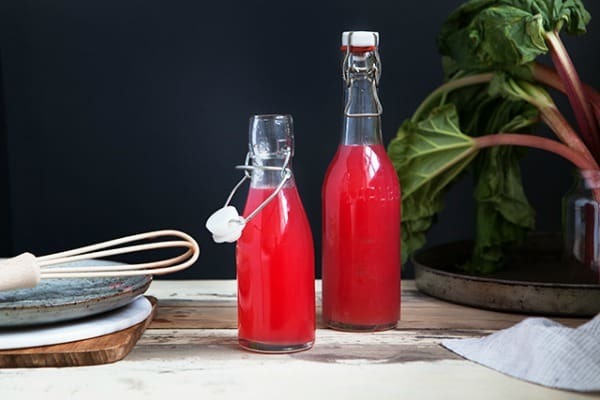 This Pomegranate Syrup by The Missing Lokness looks delicious! 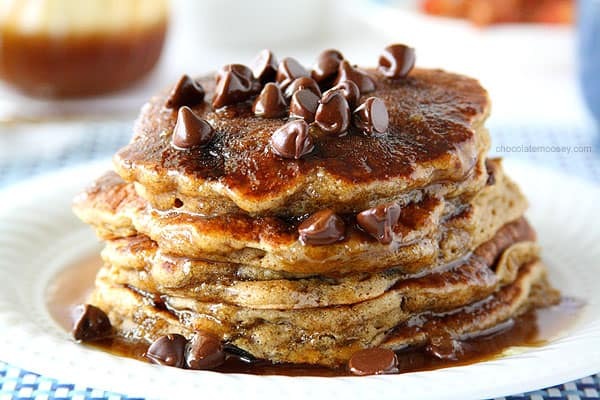 I’m not sure whether I should eat these Spiced Chocolate Chip Pancakes with Caramel Syrup for breakfast or dessert…perhaps both! This recipe by Chocolate Moosey looks too good to be true! Mmm…Nutella – a yummy way of making you feel like you’re having dessert for breakfast. 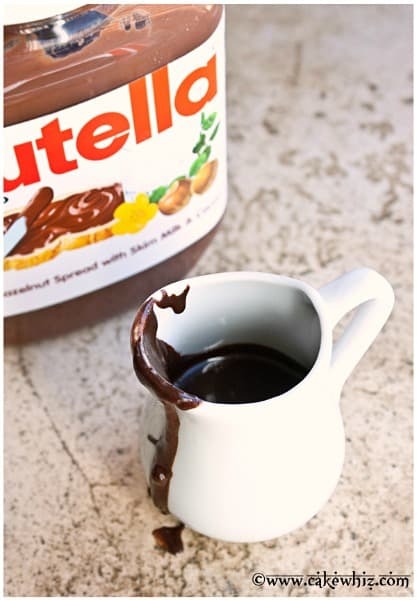 This Nutella Syrup by Cake Whiz is sure to be a hit with all ages. My mom is growing rhubard in her garden right now and my brother and I are both trying to be the first one to pick it when it’s ready. 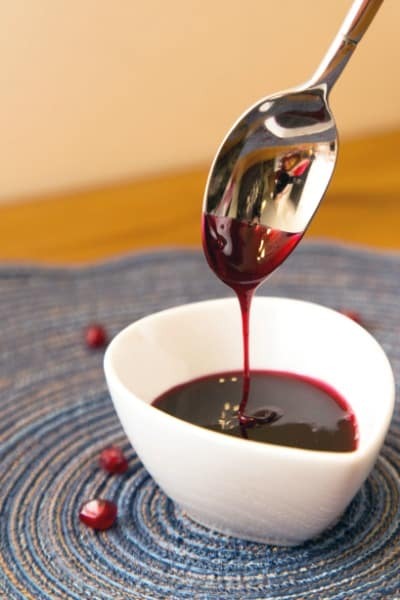 I love cooking with rhubard and this Rhubard Syrup by Modern Wifestyle would be perfect on top of strawberry pancakes. Both my little guy & my big guy love blueberries so I’m sure this Blueberry Syrup by Flour On My Face would be a hit in our house. 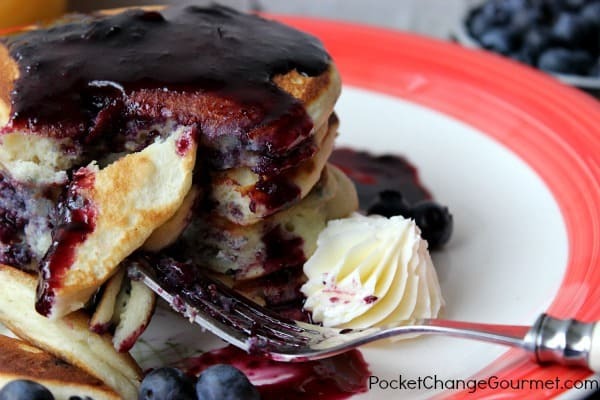 Here’s another Homemade Blueberry Syrup that I’ll have to try – this one is by Pocket Change Gourmet. Make sure you check out her recipe for Old-Fashioned Homemade Pancakes. 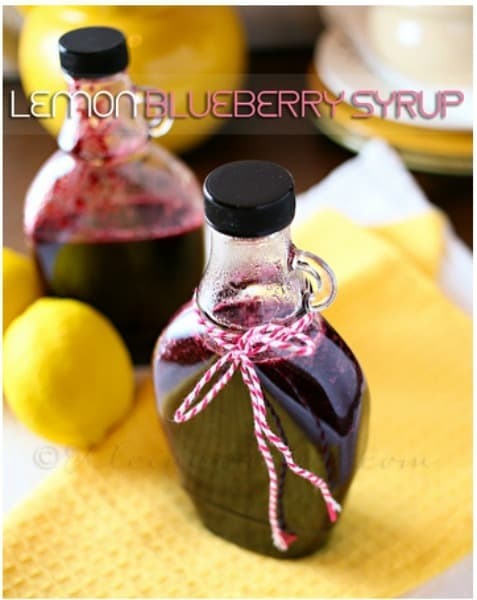 This Lemon Blueberry Syrup by Kleinworth & Co. looks perfect for a Sunday brunch. 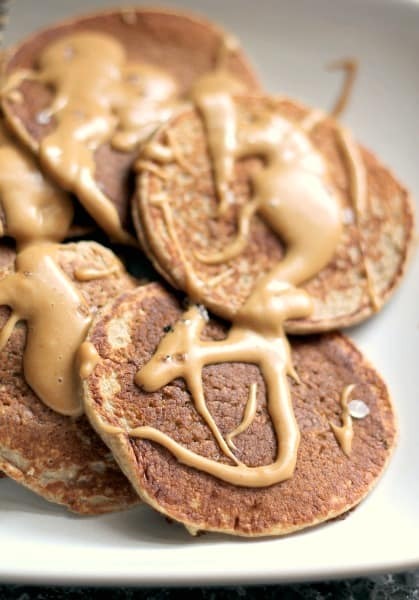 This Cinnamon Applesauce Oatmeal Pancakes with Salted Peanut Butter Maple Syrup recipe by Ambitious Kitchen is certainly original. Have you ever tried an apple & peanut butter combination? It’s really tasty! Be sure to stop by our Slumber Party category for even more delicious ideas! We’re always adding new & tasty recipes plus fun ideas to enjoy with your family. Never miss an update by following us on Facebook, Twitter, Pinterest, Google + and Bloglovin’. Thank you SO MUCH for including my syrup along with all these other AMAZING recipes. I need to try them all. Wonderful collection of homemade syrups! Thank you so much for including mine!